Did you know? > We moved. Please note that as of 1 January 2017, all service and/or quote requests will be attended to via fusionBIM. At fusionBIM, we fuse Architecture - Technologies - Best Practice with insight to help AEC stakeholders from Design to Construction to exploit the full benefit Building Information Management "BIM" on real building projects. We consolidate existing, produce new and take care of all building project data and documentation in the complete Building Life Cycle. Our clients are Property Owners, Valuers, Architects, Project Managers, Construction Managers, etc. Our services range from BIM based project modelling & documentation, BIM Consulting, training, tech support, As-Built surveys & 3D modeling, Virtual Reality, 3D Rendering / Visualization. fusionBIM is founded on the principles of collaboration. fusionBIM is a national ARCHICAD Reseller in South Africa and international Graphisoft Registered Consultant and accredited Graphisoft ARCHICAD Trainer & ARCHICAD User Support Center . 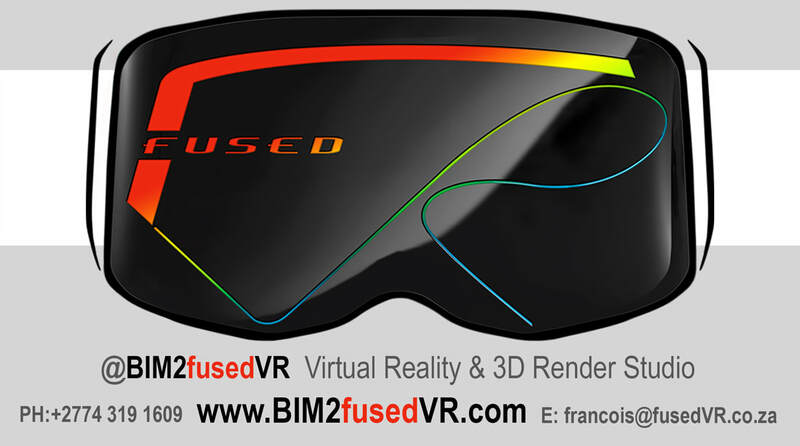 BIM2fusedVR Virtual Reality & 3D Render Studio. Full immersive experience of building Design. We are here to help Architects, Interior Designers, Property Developers and Owners, Building Contractors & Estate Agents to improve their customer experience & engagement with interactive presentations. Since the end of 2010, MultiCad Design Solutions CC. has been committed to helping Architects to achieve the best results with their BIM software and resources. MultiCad was founded by Francois Swanepoel as a national ARCHICAD Reseller in South Africa, Graphisoft Registered Consultant and accredited Graphisoft Trainer & User Support Center . MultiCad still offers BIM Consulting services through fusionBIM, to assist with Project planning & Template setup, Teamwork, Collaboration, Energy Evaluation and Visualization. MultiCad's products and services are clearly defined intent to deliver relevant and effective solutions to professionals in Building Design, Construction and Management. www.MultiCad.co.za will be kept live to serve as resource and contact point for existing clients and online visitors.